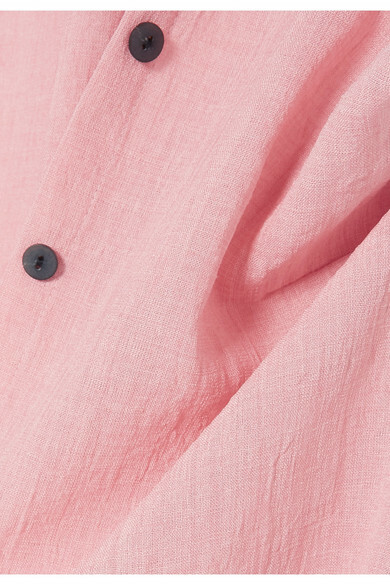 Cefinn's Samantha Cameron designs clothes that fit effortlessly around your lifestyle, whether that includes dropping off the kids at school or attending a networking event after office hours. 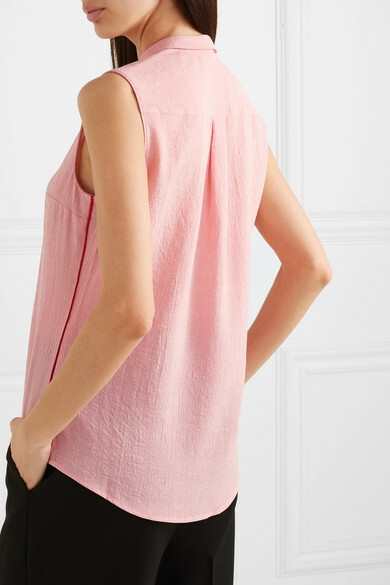 Trimmed with crimson piping, this top is cut from blush voile and has a neat box pleat at the back. 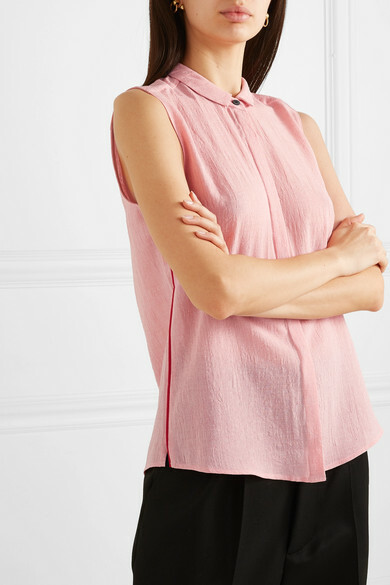 The sleeveless shape is perfect for summer in the city and layers well under blazers and jackets. 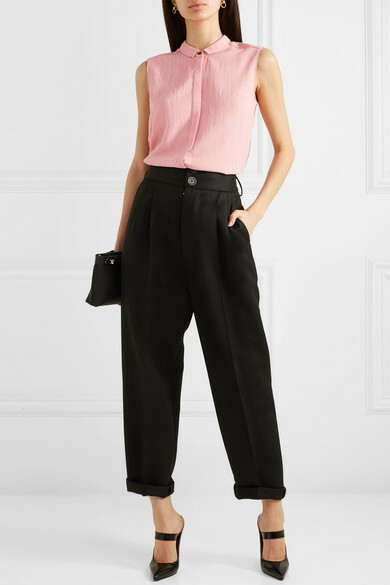 Shown here with: Peter Do Pants, Loewe Shoulder bag, Victoria Beckham Pumps, Laura Lombardi Earrings.